This 100 meter black Plenum SVGA Cable comes in a convenient roll and is perfect for preparing monitor cables in custom lengths. 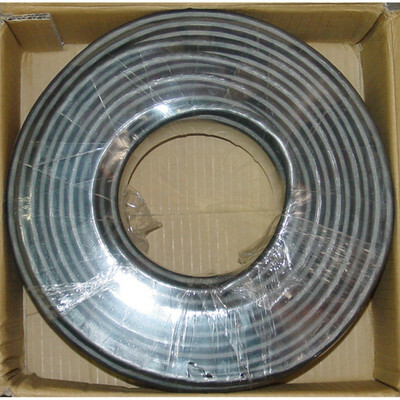 Bulk SVGA cable features coaxial construction and double shielding. The coaxial construction and double shielding work to suppress noise, delivering you the best picture possible. Our SVGA video cable can handle the lowest resolutions used on computer monitors today all the way up to a maximum of 2048 x 1536.